Mexico City, very old, the financial, political and cultural center of Mexico, the nightlife capital of Mexico, one of the worlds great cities, huge, one of the world's most difficult cities to drive in, filled with exciting things to see and do, sinking, an energetic metropolis or just an incredible place to visit. Mexico City is colourful, vibrant and often eccentric. The capital of Mexico, Mexico City is North America’s highest city and is situated in a sprawling valley over 2000 metres above sea level. Boasting a fascinating history and culture dating back to ancient times, this densely populated city is full of interesting attractions and sights. As well as its many museums, galleries, cathedrals and palaces, Mexico City also has a darker side with crippling poverty, overcrowded slums, high levels of pollution and crime. However despite its problems, Mexico City is a mecca for visitors and tourists with its frenetic energy and zest for life. 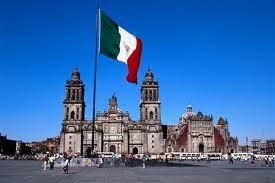 Direct flights to Mexico City are operated by British Airways if you're flying from the UK. There are many other airlines which serve Mexico's capital city from across Europe and the United States. Indirect flights with a touchdown or change of aircraft enroute are often a good way of finding low cost flights. Head to Zocalo, the heart of Mexico City and it’s historical centre and one of the world’s largest squares. Constructed from stones from ancient Aztec temples and palaces, Zocalo is home to the Mexican government, Palacio Nacional and Catedral Metropolitana as well as boutique shops and luxury hotels. Close to Zocalo is the main temple of Aztec Tenochtitlan, this excavated site was believed to be the heart of the universe in Aztec times and is now home to a superb museum. Mexico City boasts several world class museums including Museo Frida Kahlo, home to Mexico’s most famous artist, Museo de la Caricatura, dedicated to Mexico’s popular tradition of cartooning and the National Museum of Anthropology with a superb collection of rare artefacts. A short distance north of Mexico City is Teotihuacan, Mexico’s biggest and most important ancient city and a huge site containing two huge and incredible pyramids. Dating back to 1AD, the ancient city of Teotihuacan is a fascinating archaeological attraction with grand avenues, a Citadel, tombs and frescoes. Here at Directflights.com, we can help you to find the cheapest flights to Mexico City, Mexico. Simply complete the flight search box and click to look for the best offers on cheap flights to thousands of destinations across the globe. If you need to travel in a hurry, we can also find you the latest deals and availability on lastminute flights. 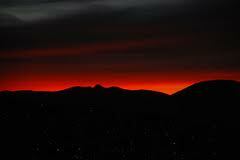 Mexico City has a subtropical highland climate, due to its tropical location and high elevation. The average annual temperature varies from 12 to 16 °C, depending on the altitude of the borough. Lowest temperatures, usually registered during January and February, may reach -2 to -5 °C, usually accompanied by snow showers on the southern regions of Ajusco, and the maximum temperatures of late spring and summer may reach up to 32 °C. Overall precipitation is heavily concentrated in the summer months, including dense hail. The central valley of Mexico rarely gets precipitation in the form of snow during winter.